Wilmar International spent the day with our Young Leaders for Sustainability on 18th November to share their knowledge and experience in sustainable palm oil practices. Thank you Wilmar! The theme for this month’s workshop was Sustainable Palm Oil and Conservation, conducted by a team of speakers from Wilmar International. The objective of this session was to provide a better understanding of sustainable palm oil and what it means to be RSPO Certified. The workshop also set Wilmar as an example of how palm oil production and management can be done sustainably and provided examples of conservation efforts. 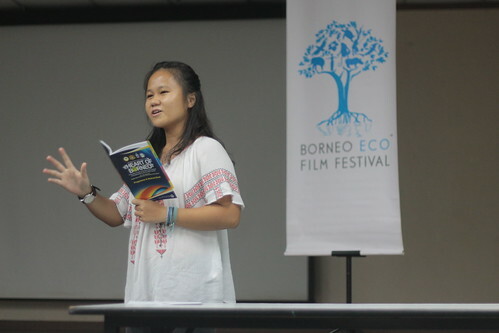 Participants were also exposed to the environmental and social issues and challenges in the industry. The workshop began with an ice-breaking session between team Wilmar and the participants. Marcie Elene Marcus Jopony led the first session with an introduction on Wilmar International and the definition of Roundtable on Sustainable Palm Oil (RSPO). Her session covered the identification of Wilmar plantations in the region and the efforts in helping smallholders obtain RSPO certification. Marcie also talked about Wilmar’s Memorandum of Understanding (MoU) with Wild Asia who are assisting efforts to engage smallholders in becoming RSPO certified. McMillan Wilfred took over the next session to share his experience and expertise on the safety, health and social engagement of smallholders. This includes a detailed description of the safety procedures taken in ensuring the well-being of plantation workers as well as a walk-through of what a typical RSPO-certified plantation and community looks like (i.e facilities provided, housing, learning centres and childcare services). After a short break, Izwan Bin Kilam@Kulambong joined McMillan and Marcie in sharing wildlife conservation efforts in surrounding plantations. The session concluded with a group activity where participants had to identify the wildlife species based on photos provided. 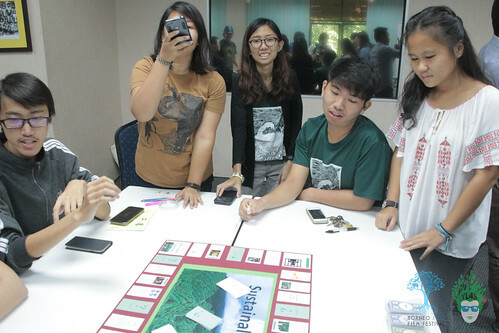 The workshop continued led by Ruebini Naidu with participants playing a board game developed by Wilmar, ‘Sustainability,’ in which players aim to complete their journey on the board by rolling the dice, answering questions on RSPO and conservation and picking up ‘Chance’ cards that either reward or penalize players. It proved to be a fun and engaging way for YL4S participants to enhance their knowledge on the topic. The session ended with Wilmar opening the floor to questions from the participants.